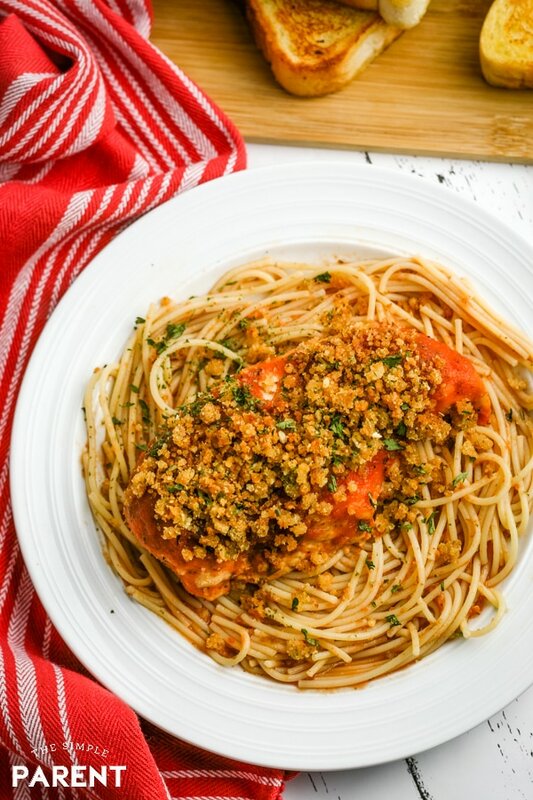 Healthier Crock Pot Chicken Parmesan You Have To Try! 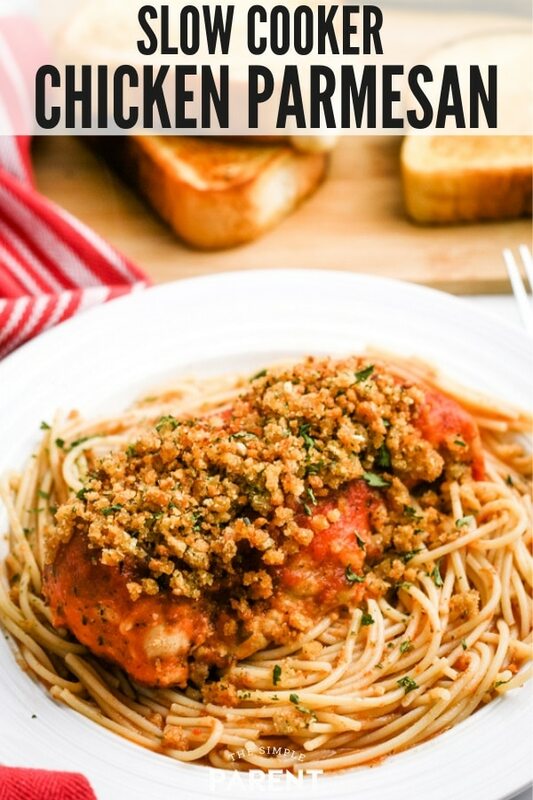 Home » recipes » Healthier Crock Pot Chicken Parmesan You Have To Try! 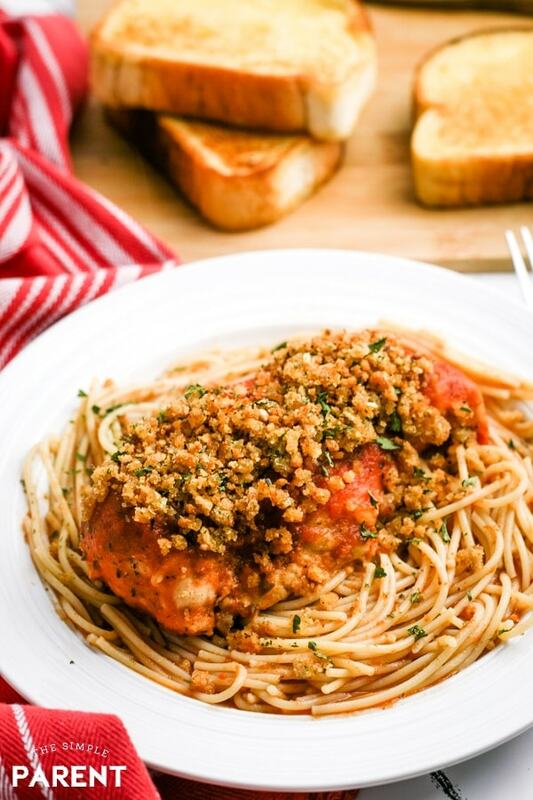 Crock Pot Chicken Parmesan is a family friendly slow cooker recipe that’s perfect for the busiest nights! Check out how easy it is to make and add it to your meal plan for the week! This post is sponsored by Moink. When our baseball game starts at 6:00, dinner is a challenge. Weston doesn’t get home until 4:00 and Justin doesn’t get home until 5:00. I really can’t afford to spend that short amount of time prepping a meal. But I want everyone to have a good meal in their stomachs so they’re ready to play and coach! Starting one of our favorite slow cooker recipes mid-day is my solution to having dinner ready before we all roll out to the baseball field. We all love a good pasta dish and this dump and bake chicken parmesan is perfect for serving with spaghetti! Check out how easy it is to make and then give it a try to see how your family likes it! You can also use one cup of plain breadcrumbs with 1 teaspoon of Italian seasoning instead of Italian bread crumbs if you can’t find them. 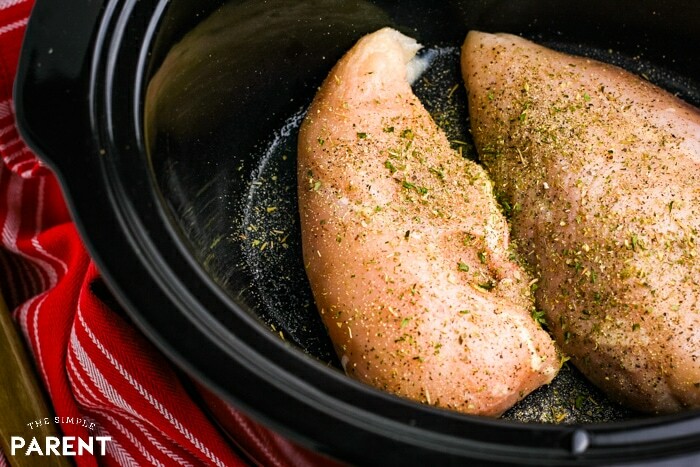 Place chicken breasts in bowl of the crockpot and season with Italian seasoning, garlic powder, and parsley. Top chicken with spaghetti sauce, making sure each breast is completely covered. 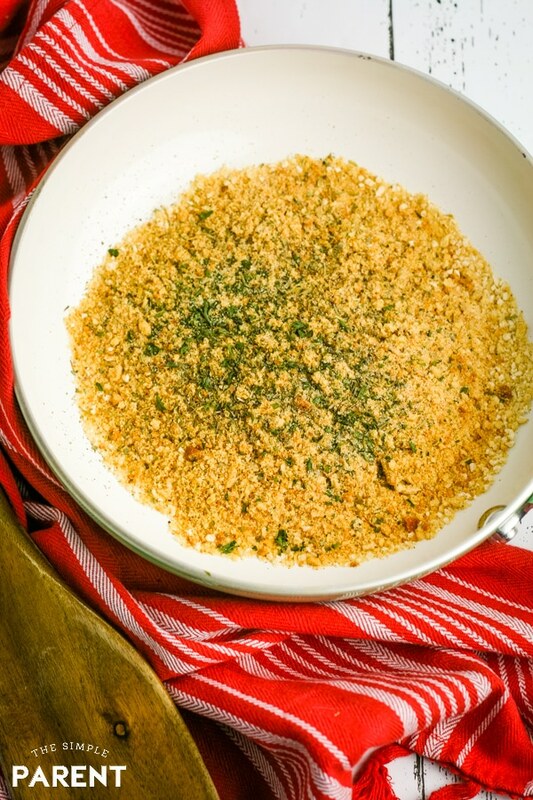 To make the breadcrumb topping, melt butter in a small skillet. Add breadcrumbs and parmesan cheese and sauté until the breadcrumbs are browned (about 5 minutes). 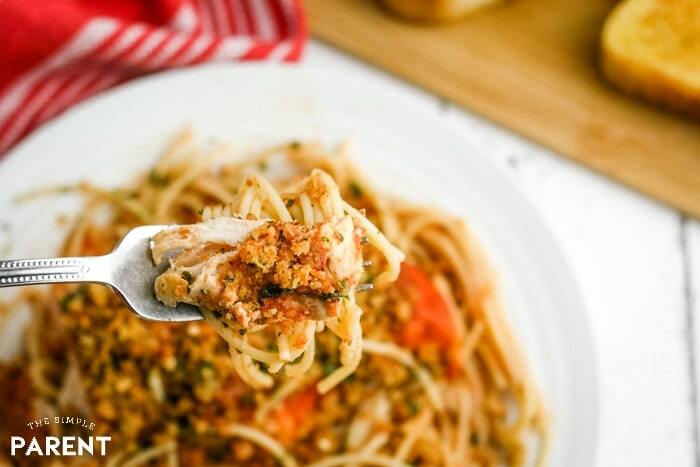 Serve chicken breasts over pasta and topped with the breadcrumb mixture. This easy Crock Pot Chicken Parmesan recipe is a healthy take on one of our favorite comfort foods! Make it in the slow cooker then serve with pasta or even as a sandwich! Start with the basic 5 ingredients then add bread crumbs and shredded cheese (if you want it to be a bit more indulgent and savory)! Serve with noodles, potatoes, or your favorite veggies! When it comes to easy dinners, my slow cooker is my best friend. These days Moink is making it even easier! Having a variety of meat on hand is perfect for planning out simple dinners that I can throw in the Crockpot. 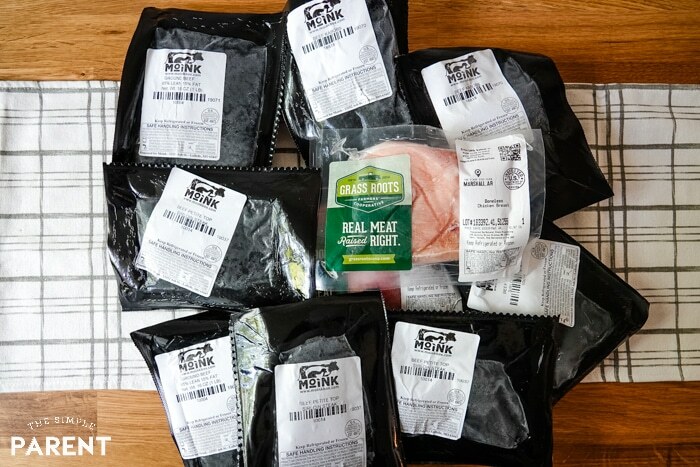 As part of our partnership with Moink, we received a Moink Subscription Box full of ethically-sourced meats! The Moink mission is to create a sustainable food system where farmers are treated fairly, animals are raised humanely, and we all eat well. You can get a variety of meat from family farms. The boxes are fully customizable and you can choose from meat like grass-fed and grass-finished beef and lamb, pastured pork and chicken, and wild-caught salmon! I like the variety of options available in the boxes because I think there is a box for everyone. But I loved that I could customize our box to get the food that I know my family will eat! For this recipe, we used one package of Chicken Breast and it was perfect! I’ve got other Crockpot Chicken recipes in mind for our other package of chicken. Justin is making plans to get the grill ready for our first cookout of the year! It’s going to be hard to decide what to make first! First, you choose a curated box and select how often you want to receive boxes. Then you can customize your box. You can swap out products from the variety of cuts available. Submit your order and then wait for your box to be delivered to your door! 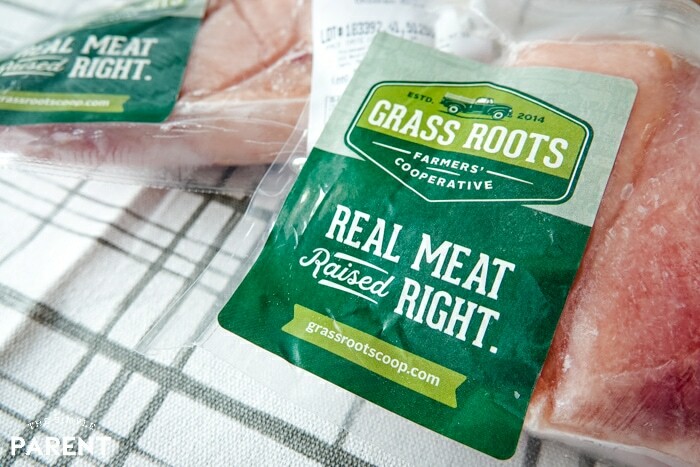 Before you know it, you’ll be enjoying the best meat ever while supporting family farms! 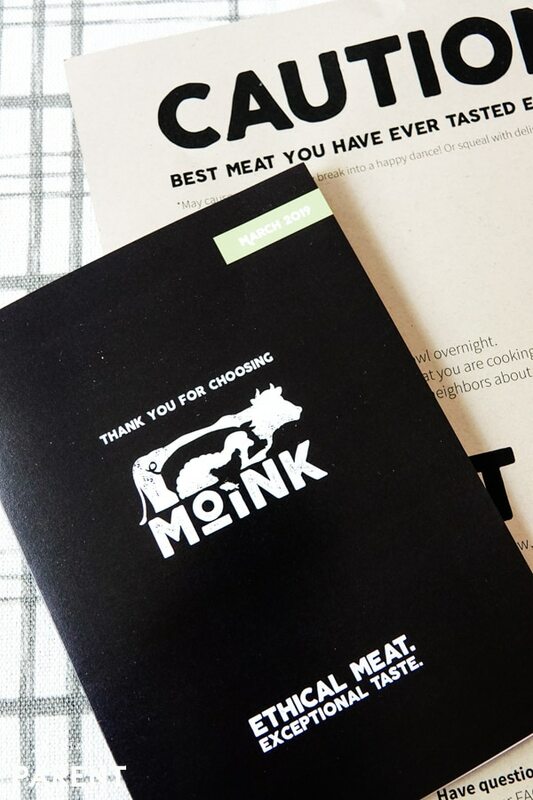 Moink is great for everyone, whether you’re a busy family like we are or you’re living a high-protein lifestyle, you can customize a box that works great for your life! Shipping is always free and right now you can use the promo code SALMONFILET to receive a free wild-Alaskan Salmon Filet in your first Moink box order! Visit moinkbox.com to order your box! 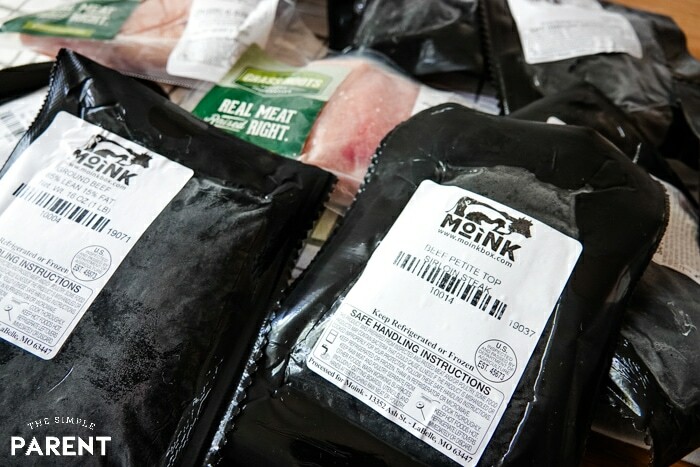 Be sure to sign up for the Moink newsletter to get special offers, the latest news, and to learn more about the family farms we’re supporting with our orders! IS THIS BREADED CHICKEN PARMESAN? To make this recipe easier to make, the chicken is not fully breaded. Skipping the breading also makes it a bit lighter and healthier. We’ve added the topping to still give the feeling and flavor of breaded chicken parmesan. WHAT CAN I SERVE WITH CHICKEN PARMESAN? WHAT SIDES GO WITH CHICKEN PARMESAN? Pasta is the first thing many people think of when they’re planning what to serve with chicken parmesan. But there are a variety of options. In a pinch, I’ve made white rice to go along with the chicken. I’d love to try spaghetti squash but haven’t yet. You can also serve it as a main dish with a variety of sides including spinach, cucumber salad, steamed or roasted broccoli, or a green salad. 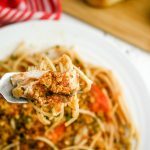 CAN I ADD CHEESE TO THIS CROCKPOT CHICKEN PARMESAN RECIPE? Absolutely! Because I wanted to make a healthy chicken parmesan version this time around, I left out the cheese. But you can easily add cheese to the recipe to make it even more delicious. I recommend using mozzarella to go along with the flavors of the sauce and Italian seasoning. When you add the topping to the chicken, sprinkle the top of the chicken with both the topping and then 1 cup of shredded mozzarella cheese. Let it melt for about 10 minutes or until completely melted. « FREE Missing Link Movie Printables & Giveaway!